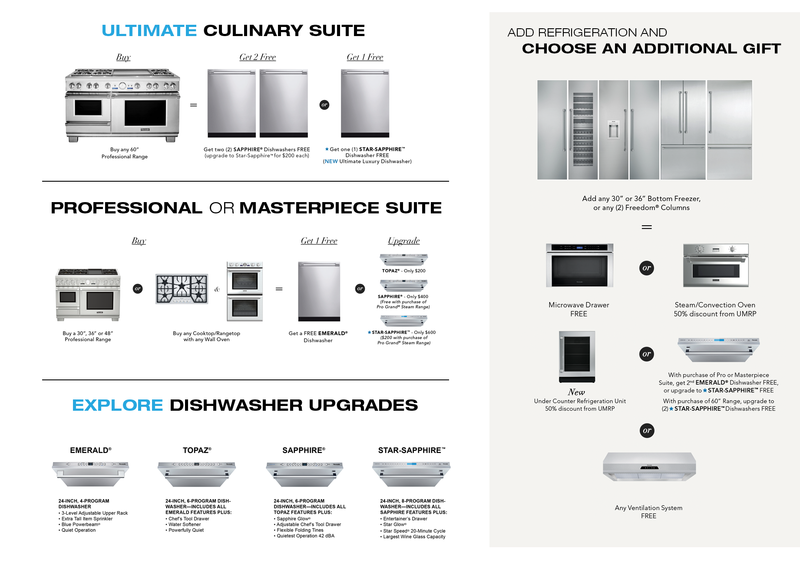 transcends the ordinary-so you're empowered to create unforgettable experiences in the kitchen and beyond. Design your exceptional culinary space while saving up to $7,117 with our exclusive ONE-TWO-FREE® program. Purchase any eligible cooking package and select your free dishwasher option. Add refrigeration and choose your special gift with purchase.